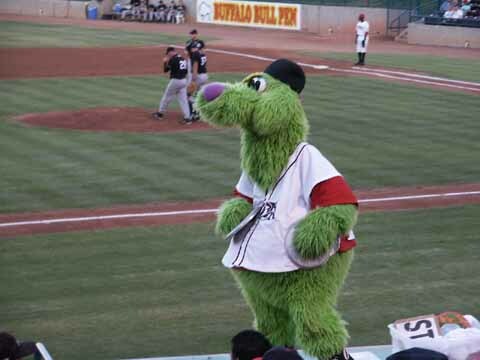 We visited the Lake Elsinore Storm for two games on July 26 & 27. 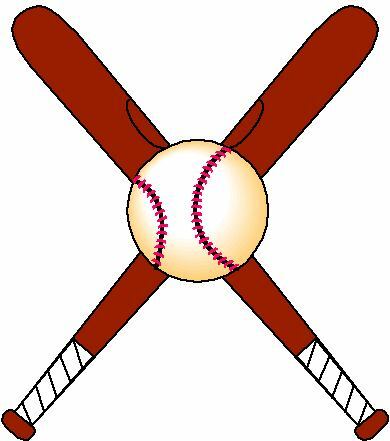 The Storm is affiliated with the San Diego Padres. 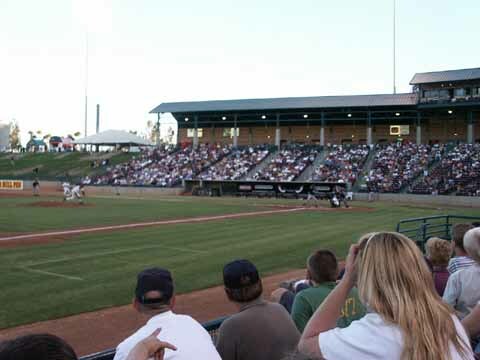 Last year, the Storm finished with the California League's best record (94-49)--the second best record in all of minor league baseball--and was later voted Baseball America's Minor League Team of the Year. 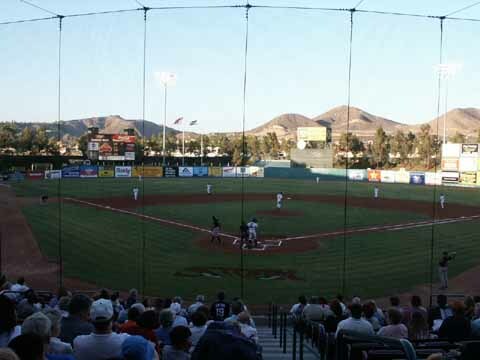 The Lake Elsinore Diamond was voted the seventh finest ballpark from over 150 parks in minor league baseball by Baseball America. It was built in 1994. 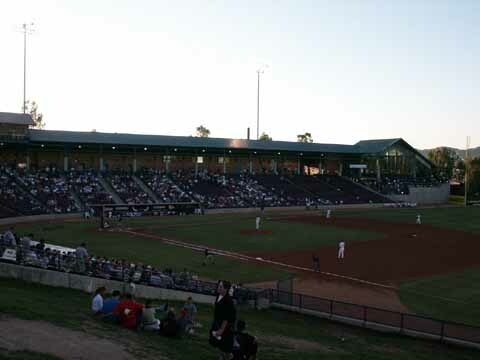 The facility features 7,866 seats and a grass area down the 1st base line. 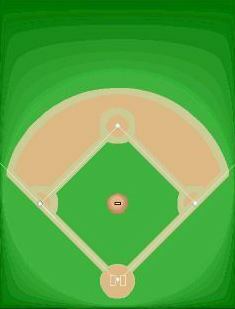 The field is called Pete Lehr Field. The dimensions are RF-310, CF-400, LF-330, RC-342, LC-425. 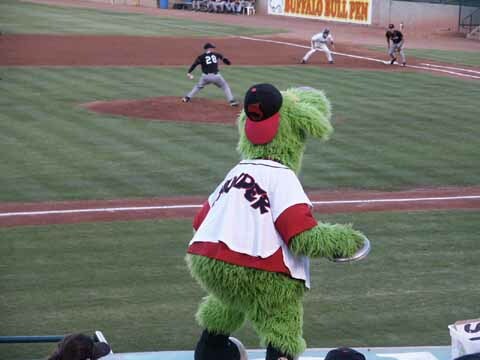 The mascot Thunder worked the crowd all through the game. If you make a mistake in what he wants done you might get a big squirt from his Super Soaker squirt gun. We had really great seats for both nights sitting just past the home dugout on the third base side in row three. This is the first Single A team that we have seen with the players' names on their jersey. 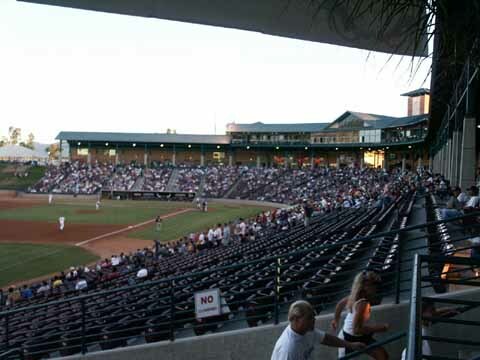 Friday night there were 5,221 in attendance. Saturday I would estimate between 2,000 & 3,000. Saturday was Country Night with many wearing their Country clothing. 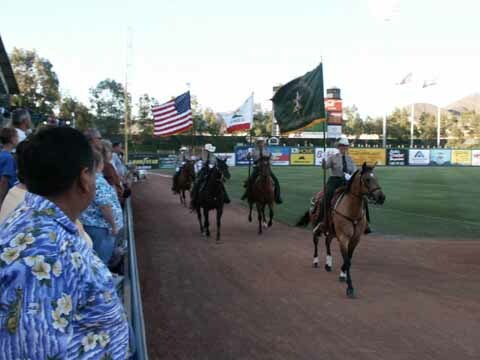 The Sheriff Mounted Patrol presented the colors. Young people involved in youth rodeo activities joined the players on the field for the Star Spangled Banner. Friday there was a fireworks display after the game. We are sure seeing lots of fireworks. On Saturday there were several extra mascots called Krazy Karacters, so there were a lot of shenanigans going on. 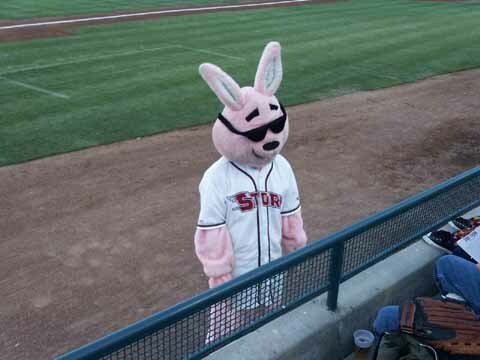 The Energizer Storm Bunny was there both nights and the first 1,000 fans on Saturday received a small stuffed bunny. Saturday the wind was blowing into home, so hard that it made almost anything hit in the air catchable. Both nights the temperature at the beginning of the game was in the high 80s, but dropped into the mid-60s at game end. 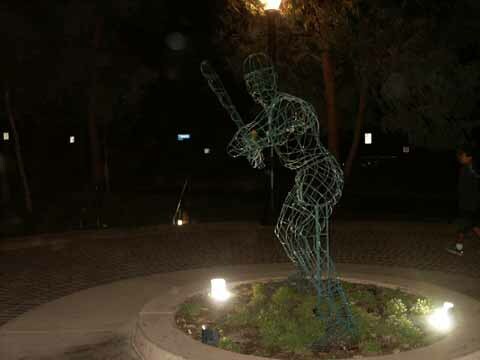 The Storm played the Lancaster Jethawks both nights and lost to them Friday 5-2. 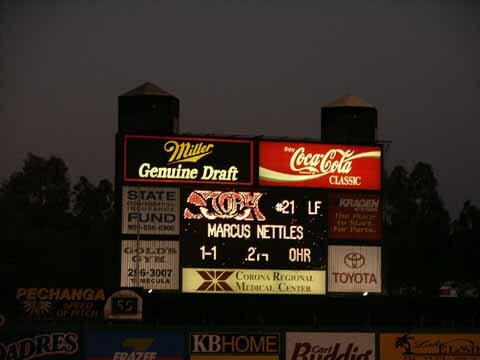 The box score was Jethawks R-5, H-11, E-1, Storm R-2, H-7, E-0. Saturday the Storm lost again 6-3. 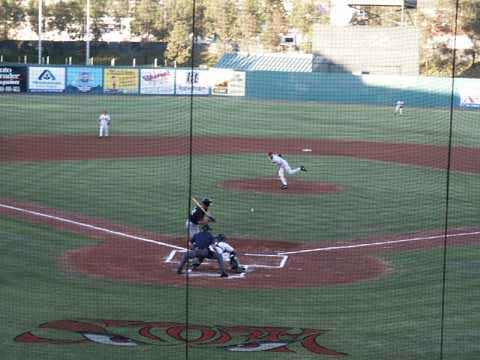 The box score was Jethawks R-6, H-9, E-0, Storm R-3, H-7, E-1. New Logo in 2002. 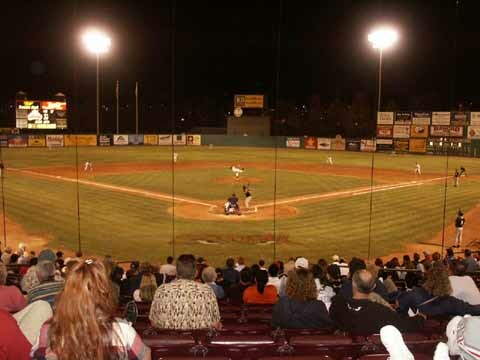 2007 affiliated with San Diego Padres. 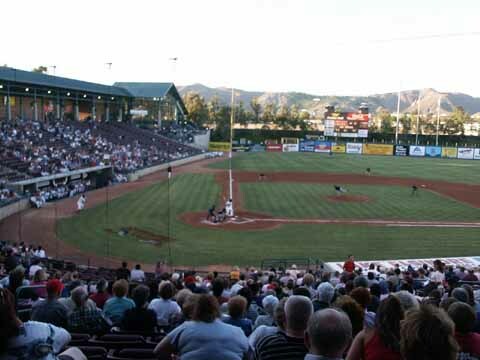 Current ballpark name is Lake Elsinore Diamond in 2014. 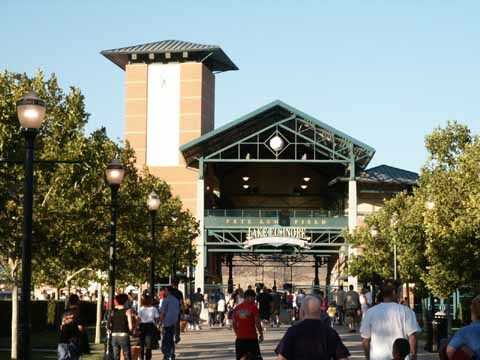 Lake Elsinore Outlets-almost 100 outlet stores available for the serious shopper. 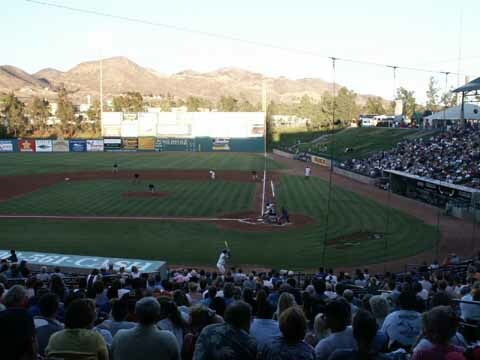 Lake Elsinore, which the town is named after, has all the activities that can be found on any large lake. 4th Saturday Cruise-In-in the late afternoon many, 75-100, custom and older cars are parked along Main Street. We saw some great cars.